Trudchen grew up hearing Odette's stories of their monster-slaying mother and a magician's curse. But now that Tru's older, she's starting to wonder if her older sister's tales were just comforting lies, especially because there's nothing fantastic about her own life—permanently disabled and in constant pain from childhood polio. In 1909, after a two-year absence, Od reappears with a suitcase supposedly full of weapons and a promise to rescue Tru from the monsters on their way to attack her. But it's Od who seems haunted by something. 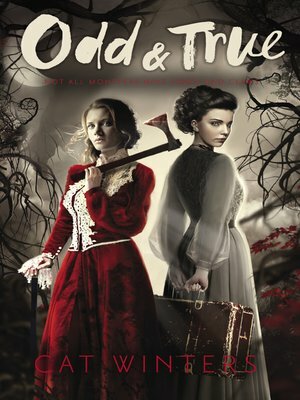 And when the sisters' search for their mother leads them to a face-off with the Leeds Devil, a nightmarish beast that's wreaking havoc in the Mid-Atlantic states, Tru discovers the peculiar possibility that she and her sister—despite their dark pasts and ordinary appearances—might, indeed, have magic after all.